Your cat’s poop and gas probably don’t smell very pleasant, but if they start to reek, then there may be something wrong with your cat. You shouldn’t expect them to smell particularly nice, however, foul smelling gas and cat poop are often signs that your cat is eating food that isn’t right for it or that it has some sort of health problem. There are lots of things that could be causing your cat to have stinky poop, including a high protein diet, according to The Nest. That protein may be necessary for your cat, and your only option could be to switch out the kind of protein your cat consumes while adding probiotics for healthy digestion. Eating spoiled food, having constipation, diarrhea or having a parasite inside its body could all be reasons why your cat’s poop doesn’t smell so good these days. Many times, simply changing out what your cat is eating can be enough to fix the smelly poop problem, but it’s a good idea to talk to your vet to see if the problem is more severe than just a poor diet. 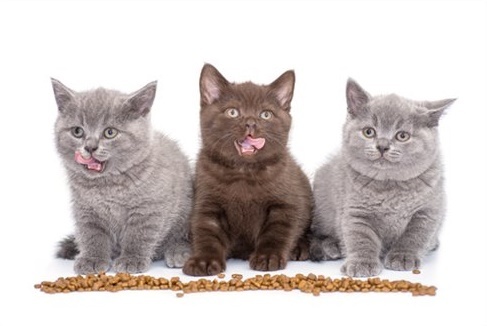 Your cat may have some food allergies as well. These are not as common as most people think, but they could be the cause of your cat’s flatulence and foul odors. Food allergies for cats tend to be triggered by wheat, corn, soy, potatoes, seafood and beef. Some vets are going to recommend that you switch your cat’s diet to something that is grain free and hypoallergenic in other words, specifically targeted to combat food allergies. Here are the benefits you and your cat will enjoy by choosing this food over commercial cat food. We picked out a few cat food products that should help you get your cat feeling great and smelling great again. We are going to start with the dry food options that we think are best, and then move onto the wet food ones. 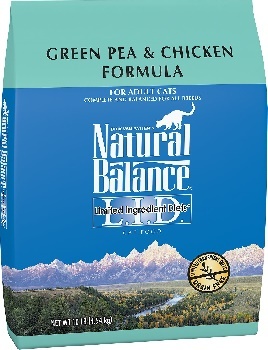 Natural Balance is known for testing all their cat food products very thoroughly. This limited ingredient dry cat food is no different, and it offers pet owners a way to treat their unhealthy cats with something nutritious and delicious. 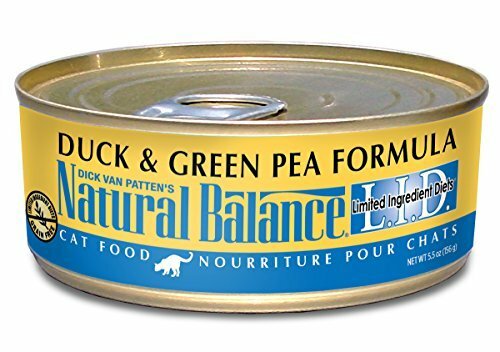 Most cats really go for this all-natural product that is packed with green pea and duck and a ton of nutrients. The meat used is all from a single source in order to limit the risk of spoiled food and bacteria. It is also high-quality meat, no matter which flavor you go with. On top of all that, the formula has been specially designed to meet all your cat’s dietary needs. You might be concerned that limited ingredients mean limited nutrients, but this is often a much healthier choice for your cat than commercial brands that use artificial flavors and multiple protein sources. Here is another example of a cat food manufacturer choosing a single animal protein source to great results. The turkey in this cat food is of the highest quality, plus there are a ton of nutrients and vitamins packed into the formula. This cat food is meant to reduce allergic reactions and cut down on food intolerance in cats, so if your cat is having any digestive issues, then this a great choice. All the meat in BLUE’s cat food here is real meat, and not a bit of artificial flavoring or preservatives can be found. Your cat may take some time to acclimate to the new taste, but it should be agreeable to most cats. BLUE is charging a bit more for their dry cat food with limited ingredients than most of the competition is, but if your cat will eat it and stay healthy, then it could be worth the higher price tag to you. Now, we want to show you a few wet cat food options that can help your cat get rid of that awful smelling poop. The quality venison meat is the only meat source in this cat food, making it a very low risk product for cats who have food allergies. Even cats who don’t have any allergies can benefit from this, though, as it can provide them with full nutrition and a low risk of food intolerance. It’s also great food for cats who are having smelly poop or frequent flatulence, as it contains few ingredients that could trigger these kinds of indigestion symptoms. Natural Balance has ensured that its cat food products are well tested, giving consumers peace of mind about the safety of the food. Even so, your cat may not take to it right away. The natural flavoring and wild meat taste of the venison can be a little too different for many cats, but if you give your cat some time, they should eat it after a while. There is no major allergen-triggering ingredient in this cat food’s formula. You’ll find no soy, potatoes, corn and other foods that could give your cat indigestion. What you will find are farm raised animals that serve as a single protein meat source for the cat food. You’ll also find tons of nutrients like vitamins and minerals your cat needs for a healthy and balanced diet. This is a high protein food, so you don’t have to worry about your cat getting everything it needs for a balanced diet and an active lifestyle. 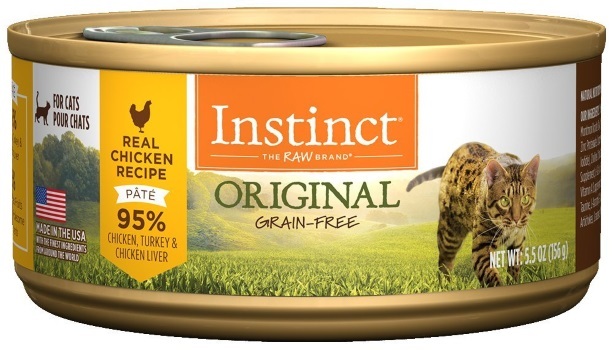 The nutrients in Instinct’s grain free cat food are also designed to help your cat grow out a beautiful, glossy fur coat and have excellent joint health. The gluten free and grain free formula is ideal for cats that have been suffering from food allergies, indigestion, smelly poop or food intolerance. 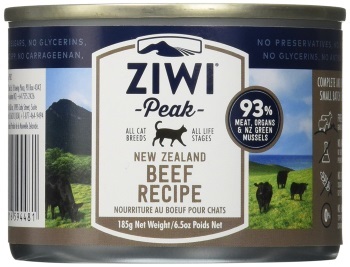 ZiwiPeak packs its cat food with not only ingredients that cats love but also stuff that’s really good for them. Most cats are going to gravitate toward this food quickly, but others will take their time in acclimating to it, due to the unique taste of the all-natural ingredients. ZiwiPeak costs more than most other grain free, limited ingredient cat foods, so you’ll have to decide for yourself if it is worth that extra cost. What you are paying for is high quality food that is not made from anything that is known to cause an allergic reaction in cats. That means no corn, soy, gluten sugar, lactose and other items that can lead to indigestion or food intolerance. Your cat should love it, and your cat’s stomach will definitely appreciate what ZiwiPeak is offering. 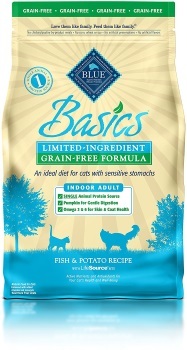 Only high-quality chicken is used in the manufacturing of this grain free cat food. You also won’t find a lot of the common allergy triggers that could be causing your cat to have unpleasant smelling flatulence and poop. Because there are not a lot of the same ingredients in this food as you would find in most cat foods, your cat may take some time getting used to it. 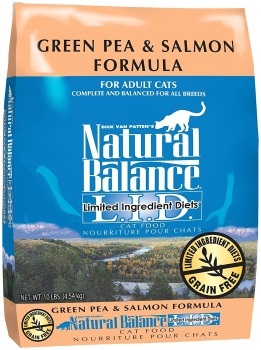 If you have been feeding your cat from the bigger brands and the more commercial cat foods, then it may not like what Natural Balance is offering. However, this is definitely a healthy alternative to most cat foods, even if it does cost more. 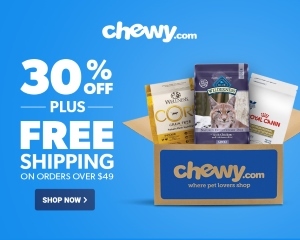 It is cheaper than most quality limited ingredient cat food options, and the hypoallergenic formula is perfect for cats that struggle with smelly poop and cat flatulence. If your cat is particularly picky, then you may want to just try a little bit of this at a time and make sure it is palatable for your cat. If you notice that your cat’s poop smells extra bad, then you should start by contacting a veterinarian first, says cat health site AskTheCatDoctor.com. Your vet can help you determine what the cause of the smelly poop is and what you need to do to fix the problem. If your cat only has this issue for a day or two, then it may not be something that you need to concern yourself with, but if it persists or it keeps coming back, then you will need to do something about it. Often, a diet change is all your cat needs to start feeling better and to start having better smelling poop. Cat poop will never smell pleasant, but it should not be markedly foul. If it is, then changing out the diet is often the key to making a huge difference with this particular problem. Be sure to consult with your veterinarian about any major changes you are making to your cat’s lifestyle and diet, especially if your cat is being treated for a medical condition. We hope that you can use the information here to get your cat healthy once more and to get rid of that foul poop smell.